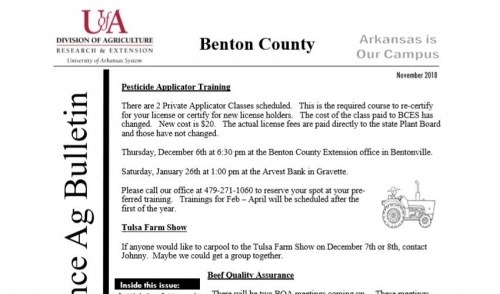 Share "Benton County- Across The Fence Ag Bulletin"
There are 2 Private Applicator Classes scheduled. This is the required course to re-certify for your license or certify for new license holders. The cost of the class paid to BCES has changed. New cost is $20. The actual license fees are paid directly to the state Plant Board and those have not changed.